The huge surface area of rigid polyurethane foam (RPUF) is the key factor for easy ignition and rapid fire spread when it is exposed to heat sources. 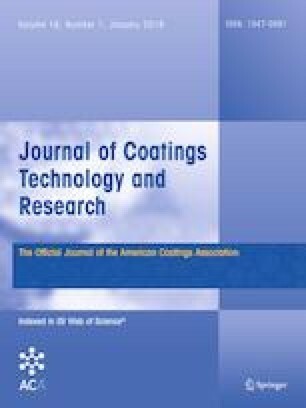 The main aim of this work was to fabricate a fire protective coating on the surface of RPUF and investigate the effect of fire protective coating on flame retardancy and combustion properties of RPUF. Waterborne intumescent fireproof coating was prepared and then brushed onto the surface of RPUF. The effect of fire protective coating thickness on flame retardancy and combustion properties of RPUF was evaluated by a cone calorimeter. The heat release rate, total smoke production, and mass loss of the coated RPUF were greatly reduced compared with those of pure RPUF. The results indicated that fire protective coating could enhance the flame retardancy of the RPUF, which may be due to the fire protective coating acting as a good physical barrier to suppress the heat release, combustible gases released during the combustion process. The work was financially supported by the Opening Fund of State Key Laboratory of Coal Mine Disaster Dynamics and Control, Chongqing University (No. 2011DA105287-FW201608), the Opening Fund of large-scale instrument and equipment, Chongqing University (No. 201612150021), the National Natural Science Foundation of China (No. 51603025), the Fundamental Research Funds for the Central Universities, Chongqing University (106112016CDJXY130004, 106112017CDJXY130002).